Sheriff Dan Gillis has a nice life with his wife, the teacher Janet Gillis, in the small coastal and friendly town of Potter's Bluff. When visitors are mysterious killed in the town, Sheriff Gillis investigates the cases carefully and finds that dead people are reanimating and coming back to life. Dan finds a book of witchcraft and voodoo in his wife's drawer and he suspects that she might be practicing black magic. Dan meets the coroner-mortician William G. Dobbs and learns the dreadful and surprising secret. 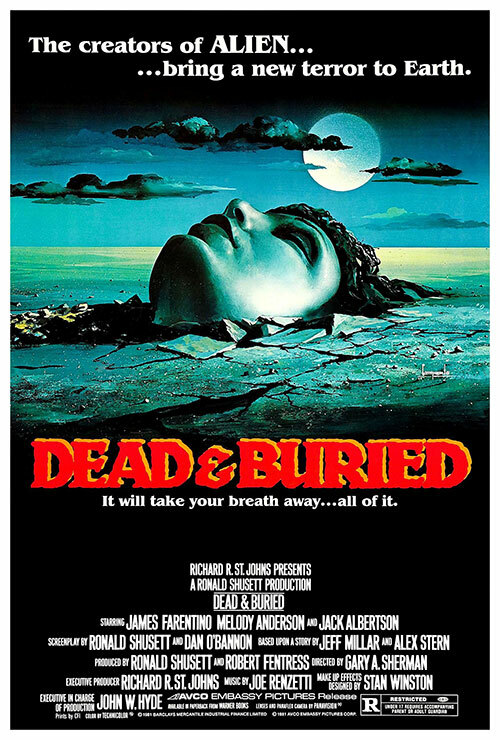 0 Response to "Dead & Buried (1981) Gary Sherman"